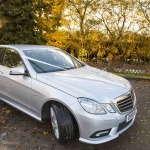 There are numerous Regulations that professional wedding car companies have to adhere to. One of them being the supplying of Champagne or any Alcohol. The law states with the Licensing Act 2003 that No wedding car company can legally supply Champagne even if its claimed to be a Wedding Gift /Complimentary /Free or anything else unless that company has a licence to sell Alcohol. Fortunately though we can serve Champagne to you after your ceremony if the Champagne is provided to us. 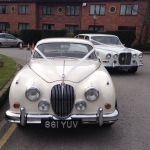 We would be pleased to serve Champagne in the car as we leave en route to the reception. We just need to get a bottle or half a bottle of Champagne from you at the pick up. We will do the rest supplying glass Champagne flutes, a cooler and some ice packs. 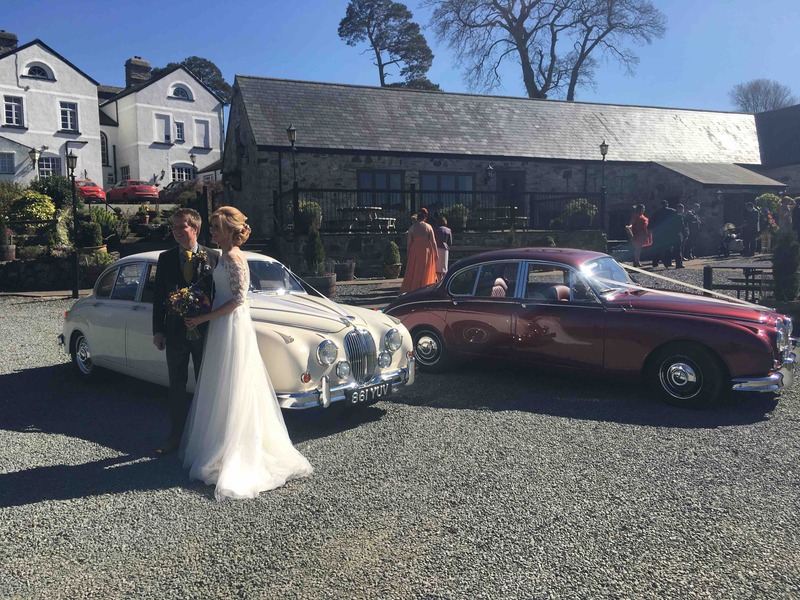 We also offer the option of a 15/20 minute Champagne drive out after your ceremony in the car with champagne supplied by the wedding venue if your wedding is all at a single location. Care should be taken not to supply any Beverage that could possibly stain Wedding Attire. This entry was posted in Uncategorized on September 25, 2016 by Chris. 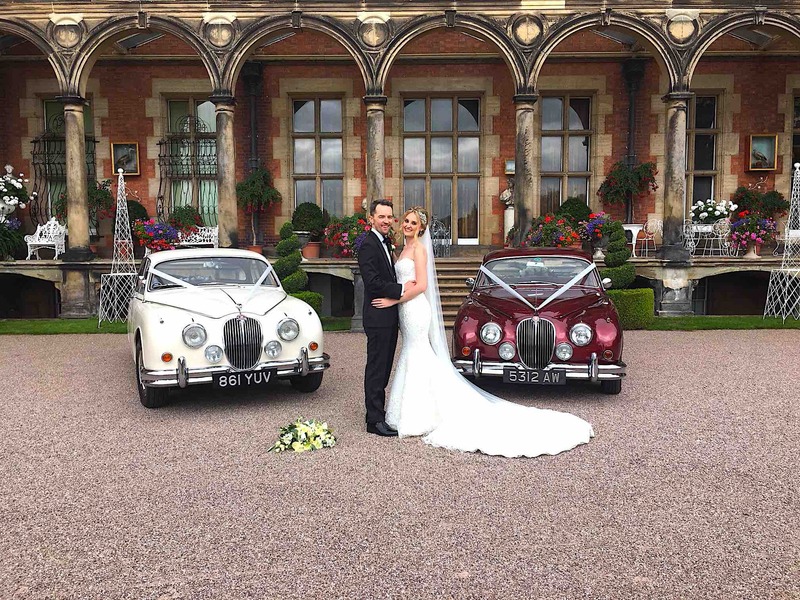 A question we get asked is do i need a second car for the Bridesmaids or possibly Groom? 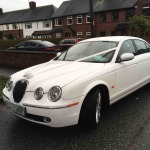 Its worth considering if the Bridal Car can do 2 journeys to the Ceremony from your pick up. If this is practical to do depends on the round trip distance & journey time. If its More than a few miles [the car has to get back for the second trip with the Bride] would mean the Bridal party on the first journey leaving the pick up address then arriving at the ceremony earlier than would be ideal. 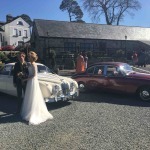 if the overall round trip distance to the Ceremony from the pick up is considered to be to far for it to be a consideration for a single wedding car to undertake or you have a large Bridal Party then there are various options for a Second Wedding Car. 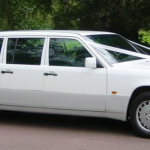 Family/Friends Cars often help out on the day with the second car but if this is not possible then an official second Wedding car could be needed. 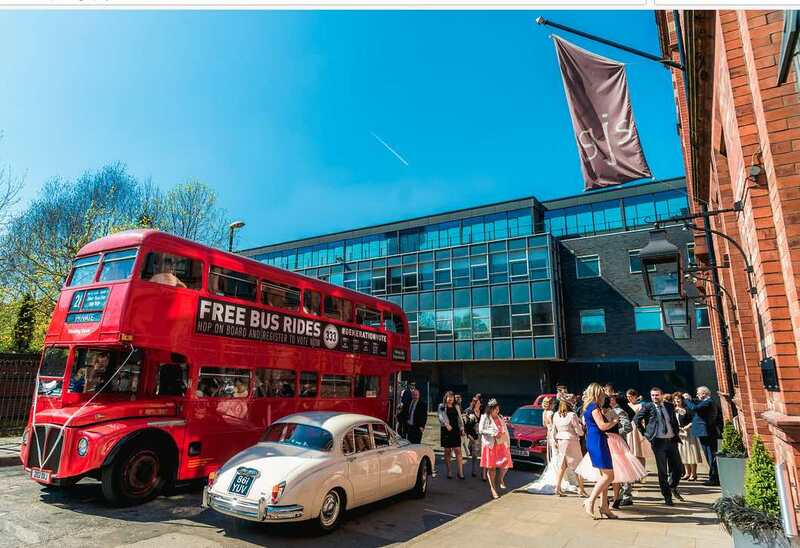 There are quite a number of Vehicles for a second wedding car to choose from however the choice narrows considerably when there are more than 4 passengers. 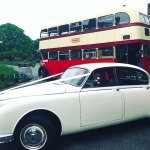 To Maintain High Standards we will only recommend Wedding Car and Wedding Bus Companies whom we have personally worked with & seen the actual vehicles. A few examples we have worked with can be seen below. Striking & totally unique. A combination of two Classic MK2 Jaguars. This pairing of the two MK2 Jaguars is available in certain areas. 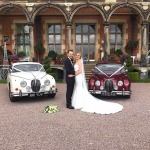 Please contact us to check availability with our associate & if you would like a quote for the pair of Mk2 Jaguars. 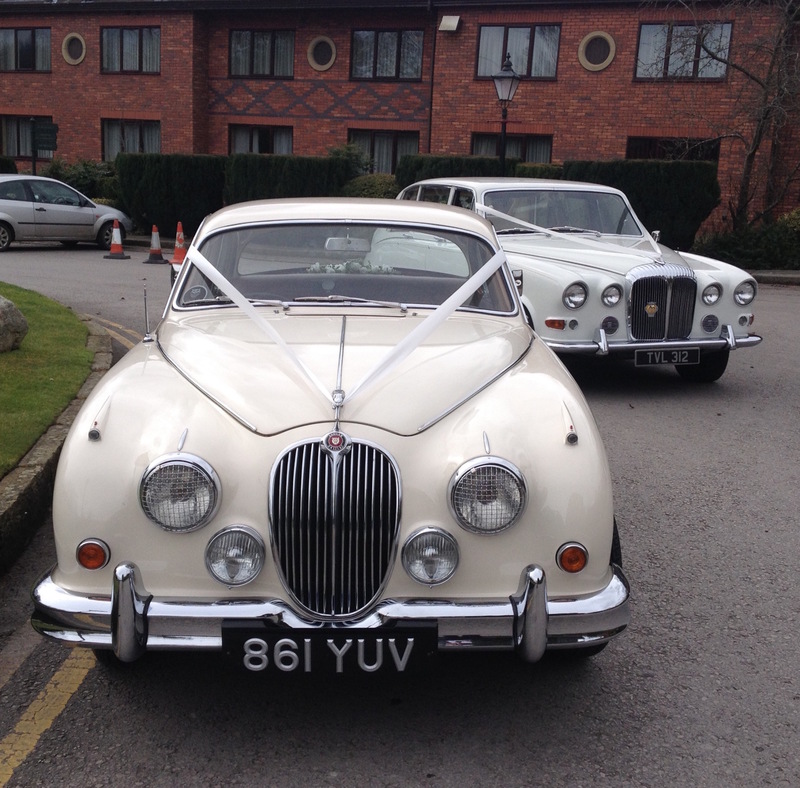 A Modern S Type Jaguar for the Bridesmaids or Groom with our MK2 makes a very nice combination. 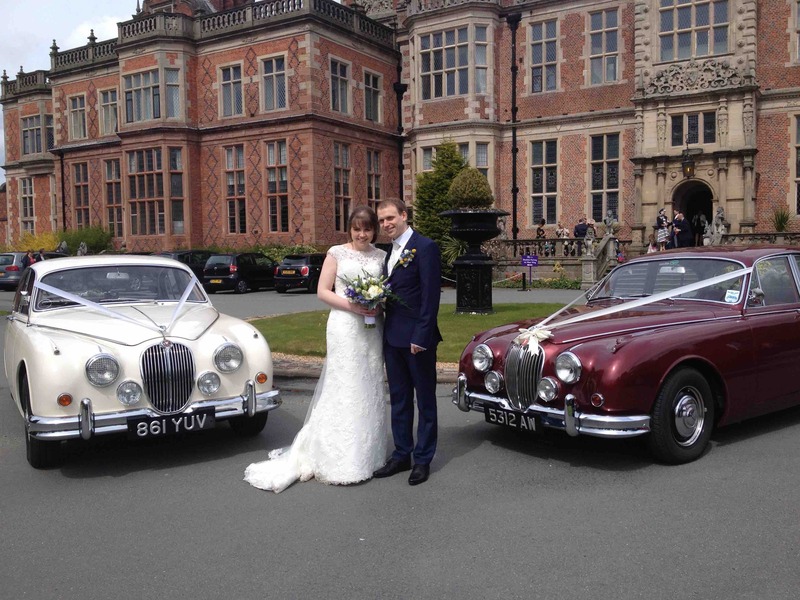 With our Classic MK2 Jaguar as the Bridal Car and the Modern Jaguar as the second Car. An executive E or S Class Mercedes as the second car is another option we have often worked with. A six door Mercedes or Daimler DS 420 if you have more than 4 passengers can be a consideration. 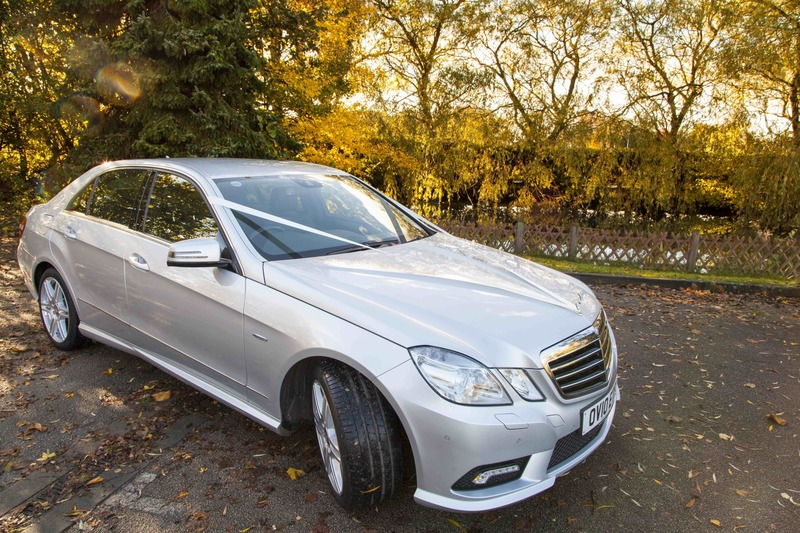 If Limo style cars are not to your taste there are a couple of other vehicles we have worked with that can carry Five or more people… please ask for more detail. 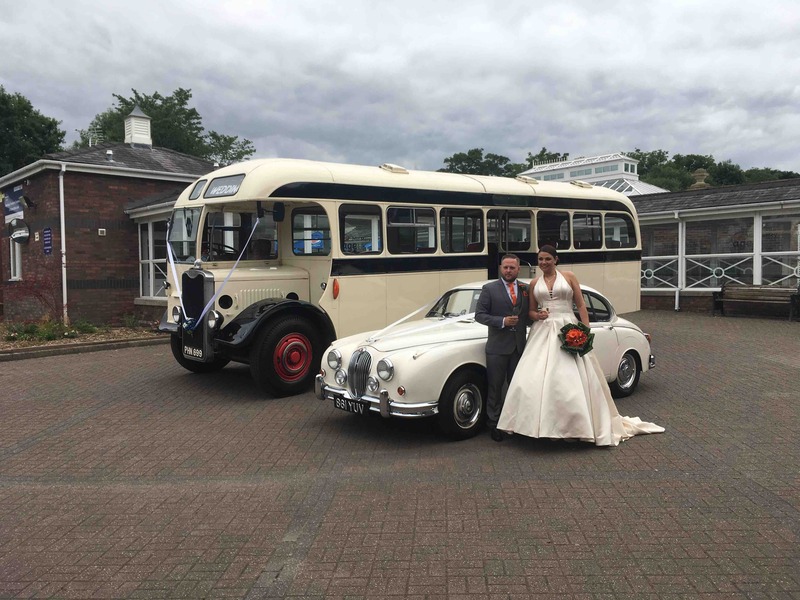 Vintage Buses have become very popular and can carry a number of people, we can recommend companies whom we have worked with. 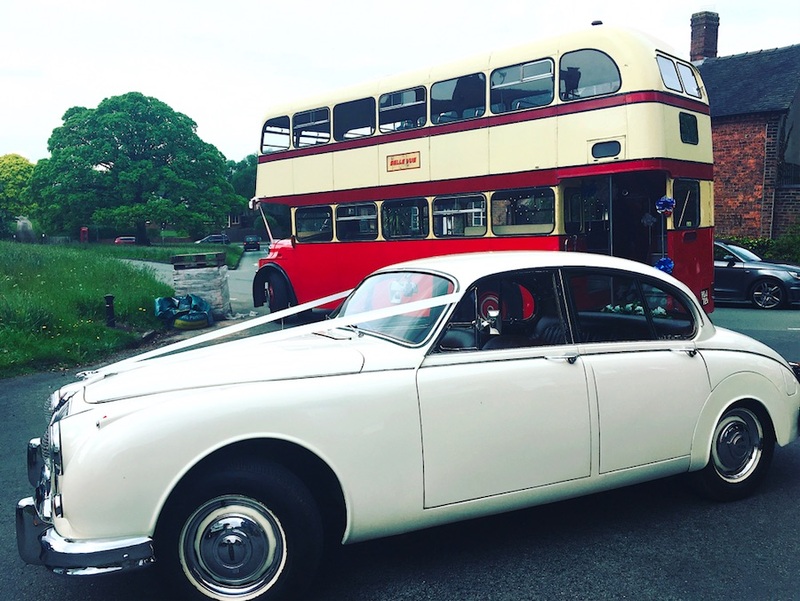 If you need a second official Wedding Car we will check availability & make the necessary arrangements with our associates on your behalf. 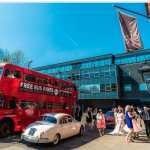 After we have put a reservation on your wedding date our associate will contact you direct with their booking contract. 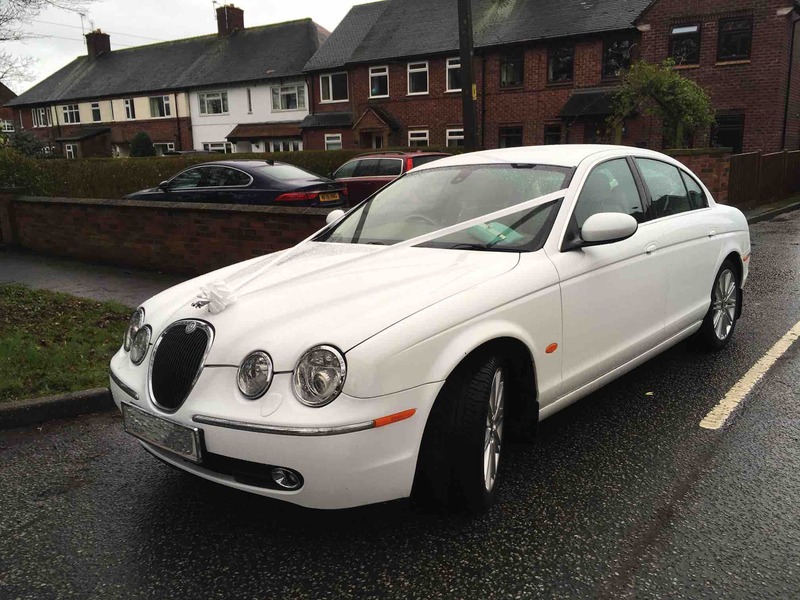 Its all part of our service to arrange a second wedding car if one is required. Please Click to enlarge images. This entry was posted in Uncategorized on March 24, 2016 by Chris. 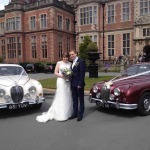 Classic Wedding Cars Cheshire take your Privacy Seriously. Your personal data is safe with us, we do not collect email addresses forwarding them to third parties.Your personal data will be retained for a period of six months following the date of your wedding, at which time all will be deleted. 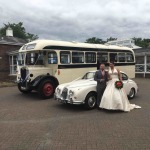 If you require us to delete it at some other point in time please email chris@classicweddingcarscheshire.com with your request. The exception being the documentation we are required to keep for a minimum of six years. That documentation will be encrypted and password protected. Once the six years has expired all information will then be destroyed. Other than us no other party will have access to any of your data. This entry was posted in Uncategorized on May 15, 2015 by Chris.